Spending time playing games at a casino is a wonderful way to spend some time and relax. The colorful games, action and sounds have an element of fun and excitement. Add in some of the other activities that you will find at Golden Acorn Casino, and you are sure to have a great time! Charles August Fey invented the slot machine in 1895. He worked from the basement of his home to create his invention. His machines were placed in saloons and were wildly popular. He opened a slot factory in San Francisco in 1896. That site is a California historical landmark now. Slot machines are now one of the most popular attractions in casinos. In some places, you will find slot machines in restaurants, bars and other establishments. These machines are easy to customize, so they can be set to accept a host of denominations, from penny slots on up to high dollar amounts. Be thankful that you don’t live in Monaco: Monaco’s citizens can’t gamble in the casino. In fact, they can’t even step foot in the casino unless they are employed by the casino. In California, you can gamble if you are a citizen who is 18 years old or older. Since the Golden Acorn Casino caters to adults, you can enjoy adult-only fun when you step through the doors. On top of the gaming that you can enjoy during your trip, you can also enjoy food offerings and other entertainment. Live music ups the ante on some nights, so you can plan a trip around that schedule if you want to see these bands. You need to develop a strategy when you play table games. Your strategy can revolve around how you will handle certain situations. Make sure that you are following the rules of the casino. Remember, Ben Affleck got thrown out of a casino for allegedly counting cards. This wasn’t something that was illegal, but it didn’t sit right with the casino’s powers that be. Ultimately, your time at the casino should be fun. Focus on enjoying the hand of blackjack or Texas Hold ‘Em without having to think about ways to cover up what you are doing. People often refer to slots as hot or cold. The truth here is that by law, slots must be fully randomized. They can’t be set to only pay out when certain parameters are met. This means that betting maximum or minimum amounts won’t impact your likelihood of hitting the jackpot. It also means that the machine could theoretically hit the jackpot twice in a row or not at all for few days in a row. Instead of trying to figure out a method to the madness, take the time to find a slot machine with a theme you like in your chosen betting amount and enjoy the pulls and spins. The Massachusetts Institute of Technology has a blackjack team that started with a course offered at the famous school. That course, How to Win at Gambling If You Must, was first held in 1979 to help students learn how to count cards. Since then, the MIT Blackjack team has dazzled people on a regular basis. 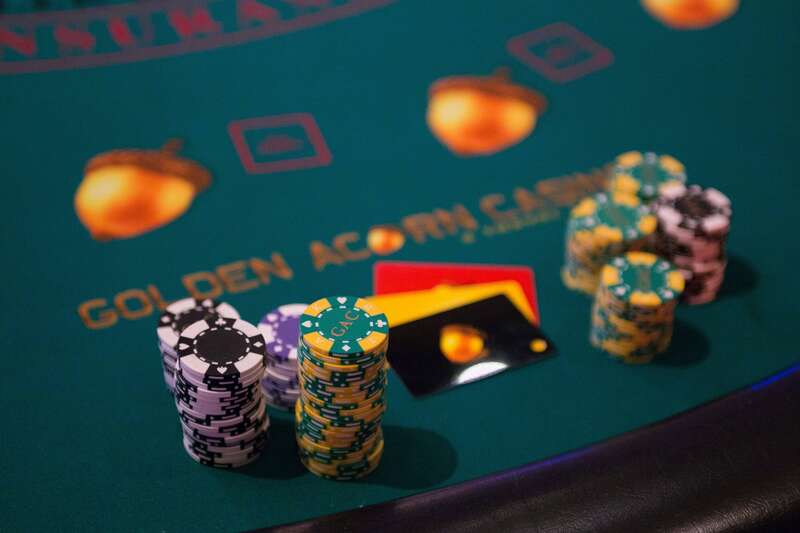 You can try your hand at blackjack, Ultimate Texas Hold ‘Em, video poker, slot machines and bingo when you visit the Golden Acorn Casino near San Diego.